Restaurants such as Zen have help redefine Coffs Harbour's food scene. Coffs Harbour has long outgrown its Big-Banana-only reputation, with a burgeoning foodie movement and a city that’s ready and willing to let its hair down over the summer holidays. Here’s what’s in and on, on New South Wales’ mid north coast. Cocktails and tapas are willing bedfellow on Old Johns cafe’s menu, which is now a year old. Dine on eggs with feta in the morning and sip on vodka and freshly juiced cloudy apple and chilled wines in the evening. Lime and Mexican continues the tapas and cocktail theme in a distinctly authentic, ‘south of the border ‘way. Order a mojito and you’ll also get smashed guacamole made at your table, accompanied with tasty plantain chips. Or try the pulled pork tacos with cabbage slaw and pineapple salsa. Element, opening in December, is aiming for New York chic and an “urban styled concept lounge with multi-level entertainment space.” Something old and something new. Small ‘hole in the wall’ Zen offers Japanese vegetarian and vegan food until around 11pm for dinner. Take your shoes off and perch yourself on a floor cushion and you’ll be greeted with a loud “hajimemashita” from the kitchen. The simple dishes are priced around $1 – $3 per dish. 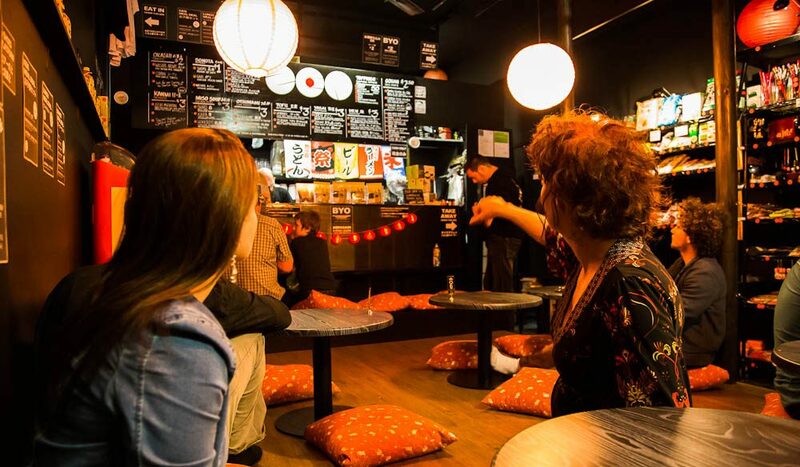 Keep an ear out for the spontaneous quizzes by the owner where you win a Japanese soft drink. Attitude Burgers offers more than just your pedestrian choice of burgers: Blue Cheese and beef, freshly caught snapper or the ‘Tree Hugger’ with confit field mushrooms, grilled haloumi cheese and spicy relish. Now two locations, Coffs Central or overlooking the marina. About 60km west of Coffs, is the Red Dirt Distillery at Dorrigo, a family-run vodka distillery. There are free tastings at this potato-based drink producer – with plenty of information about the spirit and also the soils of the region that inspired the business’s name. For small-goods lovers its worth the drive to Pig in a Pickle at Nana Glen, 25km north-west, for a class in how to prepare and preserve meats. Take a masterclass in pickling, curing and preserving – and bring home the bacon! The Pittwater to Coffs Regatta Yacht Race and Festival of Sail takes over the Coffs Harbour International Marina from January 2 to 6, in a mini Sydney to Hobart style celebration. The festival highlight will be ‘Tastes of Coffs Coast’ (on 7-9 January) showcasing the region’s food and wine. On Friday nights (from 5pm to 9pm) the Summer Twilight Food Market turns Park Beach Reserve into a food and entertainment hub. Join Coffs Harbour society at the Indoor Garden Party, staged at The Jetty Memorial Theatre (from 10-13 January) with singers, entertainers and comedy. Hosted by none other than Russell Crowe. For more information, see Coffs Coast.